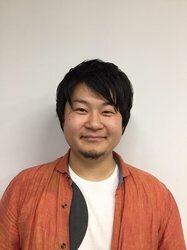 After Takanori Matsuoka joined PONY CANYON INC., he soon joined in the Japanese Anime Production Division, where he worked on many profitable projects of the company such as DEVIL SURVIVER 2 the ANIMATION and ROKKA as a Publicity Producer; and SHOW BY ROCK!, CLEAN FREAK! AOYAMA-KUN, and SANRIO BOYS as a Producer. Having experienced various anime projects in Japan, he is now interested in international co-production with oversea companies.